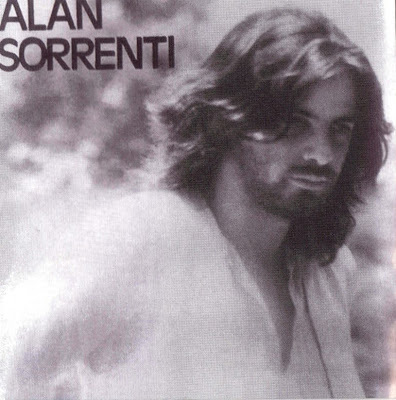 A very important artist from Naples, ALAN SORRENTI released his first album in 1972 on Harvest. He had a Welsh mother and had lived in Wales as a child. "Aria" is a very good album, with two different sides: the first only contains the long title track, a dreamy suite starting with acoustic guitar and based on the marvellous, instrument-like voice of Sorrenti, and culminating in the final part with a memorable violin solo by Jean-Luc Ponty. Side 2 is softer, with three tracks, two of which ("Vorrei incontrarti") also appeared as a single. The album was successful in Italy, and Alan Sorrenti was one of the few solo artists to compete with other prog groups in the open air festivals of the time. The album was also released abroad, but to little success. A second album, with the long title of "Come un vecchio incensiere all'alba di un villaggio deserto" was released a year later. It was based on the same formula as "Aria", but probably lacked the fresh impact of its predecessor. Once again a side-long title track was complemented by some shorter, softer tracks, this time with help from Francis Monkman (Curved Air) and Dave Jackson (Van der Graaf Generator), along with Neapolitan percussionist Toni Esposito. His third, self-titled album is usually considered the least convincing of Alan's early production, despite some very good tracks, his style slowly shifting toward more a more mainstream song format. The remake of the traditional Neapolitan classic "Dicitencello vuje", included on the album and also released as a single, was seen as treason by his early fans, and, while it gave the album very good sales and a high chart placement, it caused the artist to be boycotted in many summer festivals. After a two-year break, a new Alan Sorrenti came back in 1976, with a more commercial style, influenced by dance music, and totally breaking with his past experience as a prog artist. 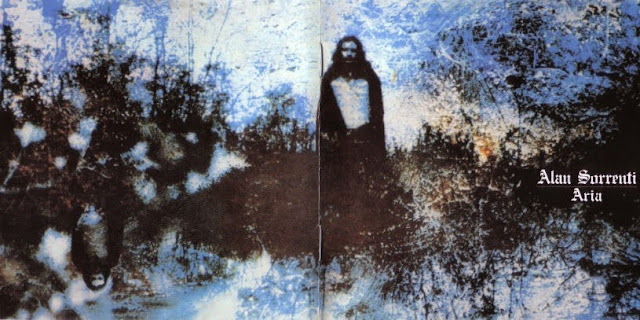 Sorrenti's long career ended with an album released in 1992 - though in 2003 he released an album by the title of "Sott'acqua", containing previously unreleased material.